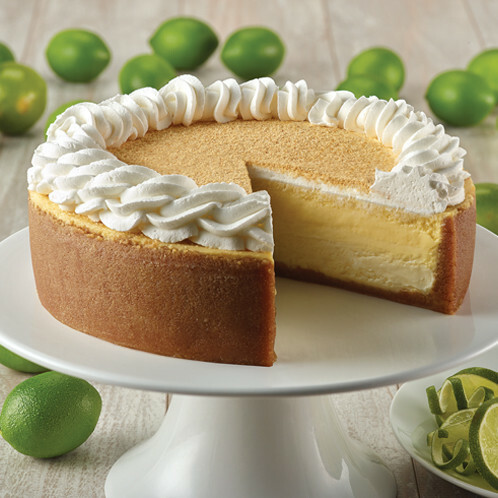 Our Original New York Cheesecake with a graham crust and with a layer of homemade key lime pie baked on top. This beautiful and seasonal cake is both tart and sweet and perfectly complemented by our creamy cheesecake, is topped with fresh whipped cream. Delicious and refreshing!